If you want to enjoy yoga classes while visiting the pristine beaches and world famous surf spots. Secluded on the Talamanca Mountain, you should try Yoga Shakti Wellness Center. Practicing yoga in the lush tropical mountains of Costa Rica will give you the experience of a lifetime. 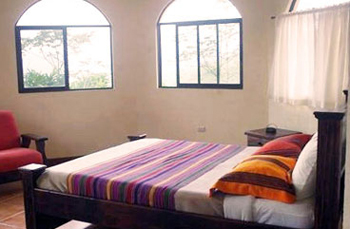 While staying in our very own estate in San Isidro,you will enjoy all the retreat facilities you have been craving. Two beautiful waterfalls are the most attractive features of Yoga Shakti. 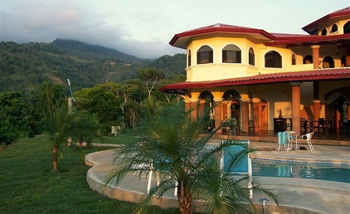 During the retreat you will enjoy a pool, jacuzzi, and a stream running through it. Gorgeous views, comfortable rooms, and many amenities will make your days unforgettably awesome. There are a total of five main houses in Yoga shakti. All of them have all the facilities you have been craving for. The main houses are-Angel’s Cup Suite, White Ginger Room, Passion Flower Suite, Orchid Room. Most of the houses have queen size bed, sofa bed, bathroom with shower, safe, & air conditioning. There are three guest houses in Yoga Shakti named Hibiscus Room, Heliconia Room and Bird of Paradise. All of these three rooms have Queen size bed, sofa bed, bathroom with shower, & patio. 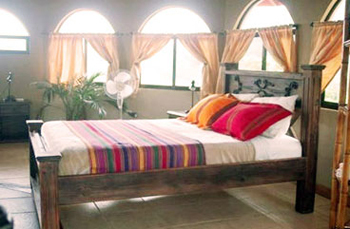 These well decorated guest houses have all the facilities one needs to have comfort and peace. Shakti Yoga is a unique yoga practice method that incorporates basic yoga poses called asana, breathing exercises called pranayama and meditation. This is specially designed to nurture your entire body from head to toe. You will learn basic yoga poses and have complete knowledge about their benefits. This practice will help you to establish an inter-connection with your very inner-self. This is an excellent opportunity to build friendships and develop social skills. Combining the modern physiotherapy with ancient sciences of Yoga and Ayurveda, they have developed a unique approach to wellness. This unique wellness technique will rejuvenate you both physically and mentally. A higher physio-psychological state called Svastha, will be achieved through this wellness program. There are different wellness packages including Ayurveda, Body Therapies, Chiropractic.